Click Here for Photobooth Photos!!! Every person desires to be happy. It is the quest of every human, regardless of culture, country or religion. Longing for happiness lies deep in the heart of everyone. Yet few find true happiness. 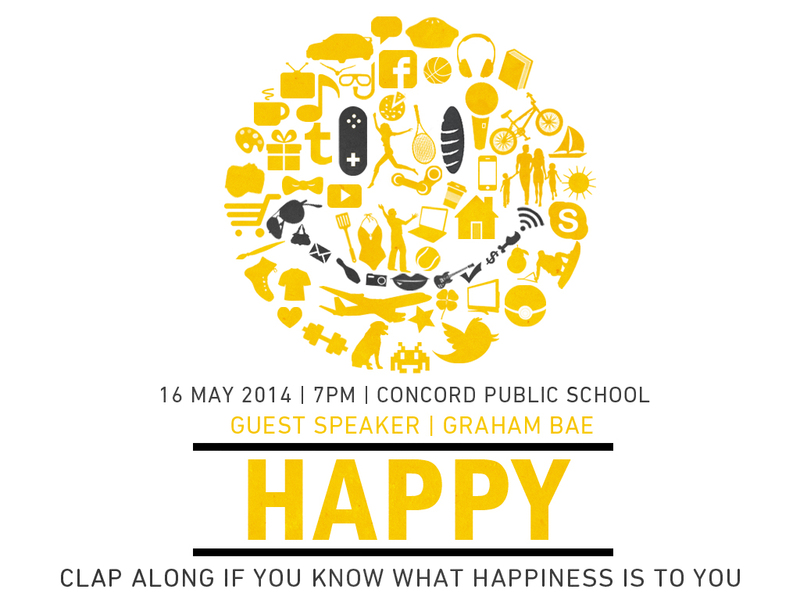 You’re invited to come with your friend to hear how true happiness is ultimately found in Jesus. Graham was born in an exotic place called Canterbury, NSW and grew up with Mum, Dad and an older brother. He studied Computer Science at UNSW and worked at IBM for a few years before getting bored of that and starting a business selling soccer equipment online. He then studied at SMBC for 3 years to train for pastoral ministry. Graham has been married to Bora for a bit over a year, and when he's not studying the Bible he freelances as a web designer, and also loves playing soccer and singing badly in the shower. One interesting fact about Graham: he has a tendency to pick up random hobbies, ranging from Muay Thai to lockpicking, learning Italian and writing articles and reviews for an Android website.